Have you ever been in a social situation and didn’t know what to say? Social anxiety can lead to avoiding starting conversations because of our insecurities. We might think that we don’t have anything interesting to say or that people wouldn’t care about our opinions. How many times have you been to a party, or a conference, or out for an evening of fun, and seen people that you’d like to get to know. But rather than allowing yourself to be vulnerable and exposing your interest, you chose to avoid approaching them? Though these worries may be common for many people, it is extremely difficult for the people with social anxiety. 1- What is the worst that could happen? 2- Will introducing yourself result in being criticized or teased? 3- If you don’t hit it off with someone right away does that mean you won’t ever get along with another stranger? 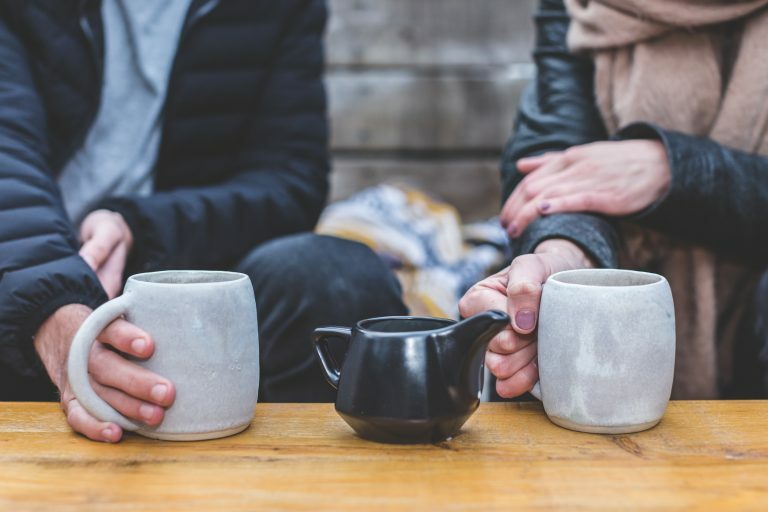 If you really think about numbers two and three, the answer is probably “no.” What’s likely to happen when you have a small conversation with someone is that it may not lead into something meaningful; however, the practice of starting such conversations will help you build some confidence to approaching more people. Eventually starting conversations will lead to the possibility of developing more meaningful and deeper relationships. Think about it: we’re all strangers before we become friends, associates, colleagues, or even lovers. In order to better prepare you for starting a conversation in any situation, we have four tips for you to try. Second, depending on where you are when meeting someone, you can ask rely on comments pertaining to your current surroundings. If you are at an event, you could ask how the other person knows the host. Or whether they’ve been part of the event in the past. Third, talk about a positive aspect rather than a negative experience. It’s not fun for people to hear negativity. Fourth, ask open-ended questions and maintain a good balance of comments, stories, and questions. Be sure not to ask too many questions consecutively. And also make sure you’re not the only one talking. Oftentimes it is easier for the socially anxious person to ask questions and take the attention away from themselves. These four tips can be practiced in a safe setting such as a social anxiety group before you take them into the world. Each time you initiate a conversation, it will get easier. Moreover, the more you practice, the easier it gets. Conversations are wonderful learning tools. Once you have developed a few simple skills, you will be on the road to developing more meaningful relationships. 4. Talk about a funny, embarrassing moment. 5. “What’d you get up to earlier today? 7. My daughter’s birthday party is this weekend. It’s taken so much planning! What do you do for your kids’ birthday parties. 8. I bet you $50 you’re gonna turn me down. 11. Do you have any trips coming up? 12. Are you watching Game of Thrones? House of Cards? Enter popular TV show here __________? 13. I’m planning a special occasion meal. Do you have any restaurant recommendations? 14. I’m looking for a new book? I really enjoy (biographies, fiction, sci-fi) Have you read any good books lately? 15. I love your necklace, tie, ring, brooch? Where did you get it? 16. Are you looking forward to anything special this week? 17. How did you hear about this event? How do you know the host of the party? Do you come here often? 18. Did you have a chance to listen to the news today? I didn’t have time to check in. Did I miss anything? 19. What are you passionate about?